I seriously doubt that there is a pipe club more prolific, welcoming, fun, and just plain successful than the Seattle Pipe Club. 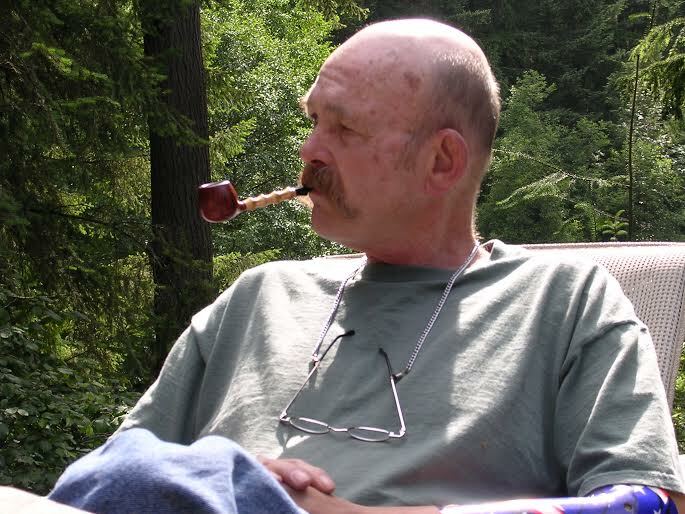 I had a chance to spend some time on the phone with the Seattle Pipe Club co-founder Matt Guss. We got around many different categories, from bourbon, to mortgages, to Greece, to Seattle; we talked about a plethora of things, but naturally we focused on pipes and tobacco. To read the first part of our conversation, visit Matt Guss on Pipes, Tobacco, and Friends. This conversation with Matt focuses on the Seattle Pipe Club, how it began, their tobaccos, and the overall culture of the establishment. Sit back, light a bowl, and get to know the Seattle Pipe Club. (Chris) For those of us who are not very familiar with pipe clubs, the west coast, and SPC, tell us what those letters mean. (Matt) That stands for our wonderful Seattle Pipe Club. Really we just want to be the best pipe club we can be. We are a group of pipe smokers who get together once a month, usually around 35-40 of us. This consists of both members and non-members; you don’t have to be a member to show up and smoke with us. We have a terrific venue that we meet at, it is called Smokey Joe’s Cigar Lounge. Luckily it is on the Puyallup Indian reservation, so there are no smoking constraints. It is a truly comfortable place with leather chairs, televisions, terrific bar, wonderful waitresses, and it is just a beautiful place for us to meet. Every summer we have a BBQ where members can attend for free. We have the West’s only UPCA sanctioned slow smoke contest in November. We have our amazing annual dinner in January. Plus there are a number of other special events we hold as well. (Chris) How did the Seattle Pipe Club begin? (Matt) Well, I got my first pipe right before I was shipped off to college. My father got it for me, it was a classic gourd calabash. I smoked it a few times, but I guess I wasn’t ready. So I put it in a drawer where it stayed until I was about 35 years old. One day I pulled it out and began smoking again. I would typically smoke my pipe in the home. But, you know, to me Chris, pipe smoking is a social activity. So in the early days of the internet, I reached out to see who might be pipe smokers in the area and who might be interested in meeting up for a smoke from time to time. That one email that I sent out to a few smokers was the spark that started the Seattle Pipe Club. I quickly realized, as I dived headfirst into this hobby, and the business of organizing a pipe club, what a wonderful hobby this was. And for me, as I am sure this is true for other smokers as well, it was the club that fostered my intense appreciation for what is today’s pipe community. It really is the social aspect of pipe smoking that makes this possible. I consider myself a very lucky man to be a part of a great social environment. It is because pipe smoking is a social hobby, because my fellow pipe smokers also cared about the social aspect, that the Seattle Pipe Club was ever born. (Chris) How many members make up the Seattle Pipe Club? (Matt) We have about 100 due-paying members. Then we have around 350 what we call non-members, who are folks that get our emails and may come smoke with us from time to time. So I guess you could say that we have regular contact with about 450 folks. (Chris) Everywhere I turn on the internet and social media I somehow seem to see a sliver of SPC. Why do you think the Seattle Pipe Club has become so popular? (Matt) Well thank you for that, that is good to know. I think there are probably a variety of reasons why this is the case. We are celebrating our 15th anniversary this year. And while that is good news for the Seattle Pipe Club, I really, really wish there were more pipe clubs across the country. And I wish those pipe clubs were active and involved in the greater pipe smoking community. 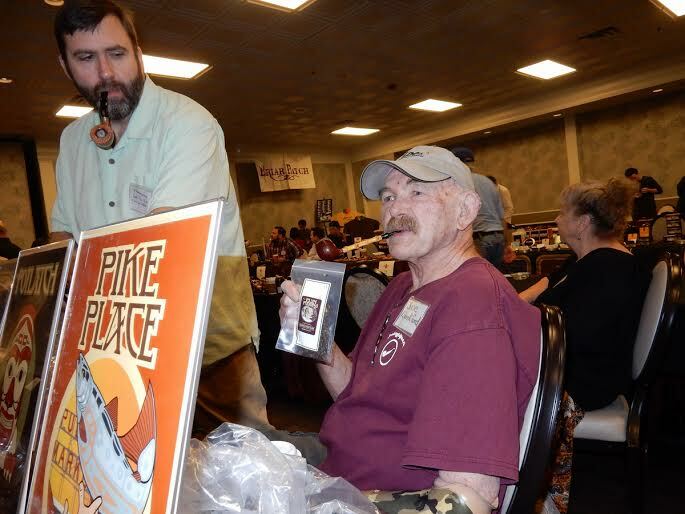 Pipe clubs are truly the grassroots of the hobby. 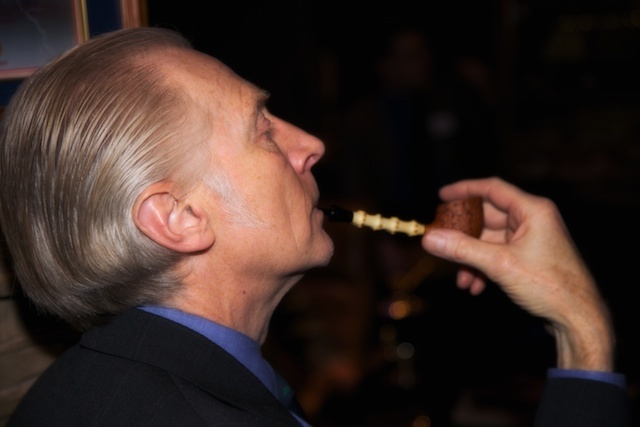 We hope that our Seattle Pipe Club is a model for other clubs across the country. I think another part of my answer to your question is that we are very active. We do all kinds of things. We have the annual dinner, we have the BBQ, we have the slow smoke competition, we have guest speakers come visit from time to time. Last December Dr Fred Hanna joined us to talk about the Health Benefits Of Nicotine — a great talk and very well attended. And not least of all, we have our amazing line of Seattle Pipe Club tobacco blends, which launched in 2007. There was just so much demand inside the club for Joe Lankford’s Mississippi River that we decided to try and package it and sell it to the public. (Chris) Well I am relieved you brought up SPC tobacco, because that is what I wanted to talk about next. How did the Seattle Pipe Club go from being just a group of smokers to becoming a new brand of delicate boutique pipe tobacco? 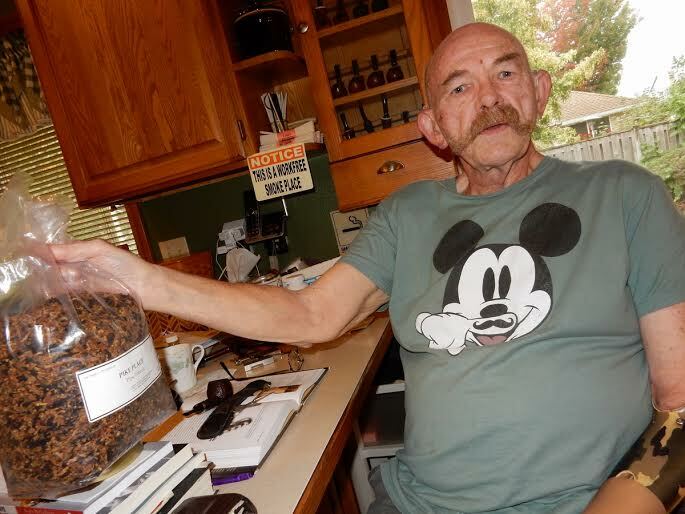 (Matt) Well, a dear friend of ours and member of the club, Joe Lankford, was blending tobacco in his garage. He had been blending for about 25 years before he ever created a blend that he thought was smokable. He had been tinkering around with different blends, trying to come up with something special, but he couldn’t quite get something to his satisfaction. He kept striking out. So after a night of blending experiments he went to bed. Well…he had a dream. He woke up, in the middle of the night. Grabbed a pen and pad that he kept beside his bed, and he jotted down a recipe for a tobacco that he had dreamed about. He wrote down the ingredients and the approximate proportions, didn’t think too much of it, and then went back to sleep. So when he woke up he decided to go ahead and blend up this dream recipe. And that was Mississippi River. So that is how it all got started. Now we have six different blends, each one delicious–all thanks to that one dream of Joe Lankford’s. (Chris) Who blends your tobacco? (Matt) Our tobacco are blended according to Joe’s demanding methods by Sutliff Tobacco Company. We chose Sutliff because of their ability to make Joe’s blends precisely as he would do himself. These are 100% Joe Lankford & Seattle Pipe Club premium tobacco blends. They use the exact tobacco leaf and the exact recipe that Joe Lankford created. Each blend is carefully put together and then tested to ensure that they meet our, or should I say Joe’s, high standard. I used to call Joe an amateur tobacco blender. But now I consider him at the highest level of blenders in the world. He is simply the most talented and perceptive tobacco blender I have ever met, and I have met a lot! He has a rare gift. And thousands of pipe smokers seem to agree. We are lucky to have Joe Lankford. As far as I know we are the only club that has come up with it’s own recipes and sells their own blends to the public. Joe enjoys emails from all over the world from fans of his scrumptious blends. The success of these pipe tobaccos really humbles us. I’m told that our blends are the best selling small batch blends in America. (Chris) Which one of the Seattle Pipe Club blends is your personal favorite? (Matt) Well, my personal favorite is Plum Pudding. I love Balkan blends, and to me this is the perfect Balkan blend on the planet. I like pressed blends, and Plum Pudding is a crumble cake. It has a wonderful balance of Latakia (which I adore) and Oriental (which gives it a wonderful peppery bright note). It is just far and away my favorite tobacco. I love the way that it lights. It tastes sublime. The flavor develops complexity through the bowl, which to me is the hallmark of a great tobacco. Most blends you can light and it tastes good for the first third of the bowl, but then it begins to deteriorate. I tend to think that this is because the quality of the leaf isn’t great. Blends that do not get better, or at least stay as good, through the whole bowl are second tier. (Chris) Since you have probably smoked more Plum Pudding in the world than anyone else, is there a good drink that you like to pair it with? (Matt) Yes. I would say Lapsong Souchong Tea. It is a Chinese, actually a smoked tea. They cure the leaves over a Chinese wood fire. So the tea itself has kind of a smokey quality to it. It’s delicious and pairs really well with Plum Pudding. (Chris) What do you want people to know about the Seattle Pipe Club? (Matt) Well a lot of what I want people to know about Seattle Pipe Club I have already said. 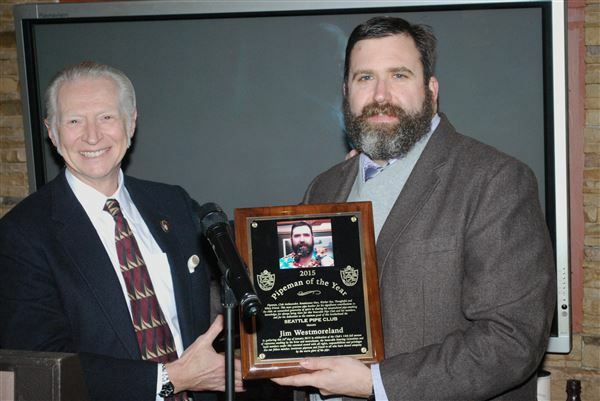 Everyone should know that a club like the Seattle Pipe Club couldn’t function without the dedication and hard work of some key members. Without the commitment of my good friend Jim Westmoreland, the annual dinner and other events would never happen! The Club Pipes of the Year are the result of Rick Willoughby’s working with the carvers – this year the amazing Steve Liskey. I should also mention that there are two primary ways we support our club. One is for you to become a member. Our annual fee is only $25 and with that you receive a beautiful enamel jacket pin (which you must be at a meeting to obtain) and free admission to members only events like our BBQ. The other way is through our yearly dinner & auction. And this is really what supports the club in large part. Our auction, and the money we raise from the auction, makes possible events like the annual banquet, slow smoke competition, visiting guest speakers and all the other things we do. Something fantastic we do with our funds is we send our slow smoke competition winner to Chicago to compete on a national level. And a few years ago, we had the good fortune to send two of our members to Poland to compete at the international level of slow smoking. All this is made possible by our fundraising. 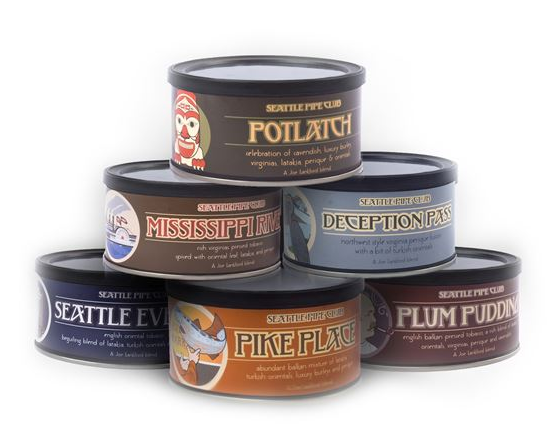 If you want to know what the Seattle Pipe Club is like you might try our pipe tobacco blends. Our tobaccos say something about who we are. We see our tobaccos as a gift that we get to share with the pipe smoking community. (Chris) I assume that most pipe smokers want to help the club, or at least help the culture and spirit the club has worked to hard to achieve. What can we do to help Seattle Pipe Club, even those of us who live thousands of miles away? (Matt) If you want an honest answer, it would be to either start or join a pipe club in your community. We’d like everyone to get the same level of enjoyment as we do from Seattle Pipe Club in your home town. The club has given us so much, and has connected us with so many people, that I wish everyone else could experience what we do all the time. That is the best thing that we can hope to share. (Chris) You know Matt, I don’t do a ton of interviews. But of the ones that I have done, this has been incredibly enjoyable. I can’t wait to smoke a bowl of Plum Pudding with you face to face! (Matt) Thanks Chris I’d enjoy that…I’ll provide the Plum Pudding! A great follow-up to the first part of this conversation. Now everybody get out there and join or start a pipe club! Thanks Charles! I definitely agree, we should all be a part of a club if it is at all possible.